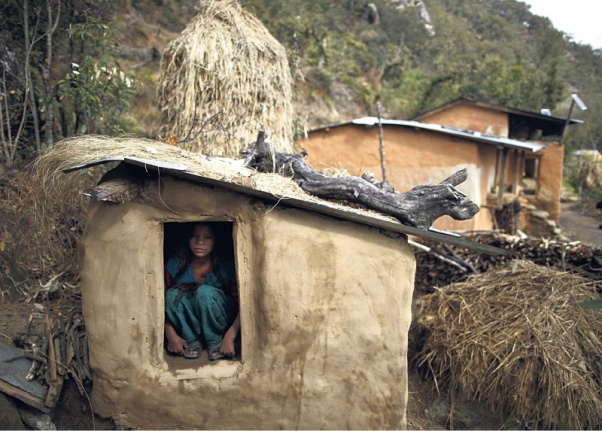 KATHMANDU, March 24: A parliamentary committee has been found to be preparing a field report on Chhaupadi deaths without any of its members visiting the incident site in the district of Bajura despite spending two days in the district headquarters, Martadi. A team of parliamentarians which had reached Bajura on a UNDP-sponsored trip summoned the victims at Dhamkanne, seven kilometers away from the incident site, and returned to Kathmandu. The parliamentarians blamed extreme cold for not being able to visit the actual crime site. A nine-member sub-committee of the Women and Social Committee comprising eight lawmakers, an official and two representatives from the UNDP embarked for Aagaupani Pandusen of Bajura on January 30 for a field study about the deaths of Amba Bohara and her two sons in a Chhaupadi shed while practicing the outlawed tradition. “The team could not move ahead from Dhamkanne due to the heavy snowfall and even a dozer failed to clear the roads,” reads a report prepared by the sub-committee. The parliamentary panel invited ward committee chairperson of the village, husband of the deceased and other villagers to the next village and interacted with them, according to the committee member Lal Bahadur Thapa who was elected from the same district. According to the report, the committee spent five days on field visit, spent two days at the district headquarters and just half a day in the village near the incident site to inquire about the deaths. The lawmakers listened from the nine people in an interaction at Dhamkanne for two and a half hours, according to the lawmakers in the team. The report has pointed out suffocation as the cause of the death of a mother and two minors in the Chhaupadi shed. “I am the one to take the team so close to the incident site even after the Chief District Officer had offered to prepare a detailed report on the deaths from the district headquarters by the police, citing the heavy snowfall,” Thapa defended. Interestingly the committee has accused the non government organizations (NGOs) of being limited to the district headquarters for awareness programs against the Chhaupadi ill-practice. “Most of the NGOs have centralized their programs in unnecessary areas including the district headquarters and their programs don’t reach the affected communities,” coordinator of the field trip, sub-committee member Ganesh Singh Thagunna said. The report by the parliamentary panel has suggested to the government to launch a year-long campaign against Chhaupadi in the next year. Parliamentary Support Project of the UNDP funded the field trip of the lawmakers. Asked about the use of donor’s money for a regular job, Thagunna said he was in the dark about the funding of the trip until the day of the visit. “We decided to go after the committee entrusted us with the responsibility but the parliament secretariat used UNDP funding citing a contract with the donor,” Thagunna told Republica.